The event facilities at Hollow Hill are composed of several buildings and areas which add a special atmosphere to all events and weddings. It's perfect for a barn wedding venue, a country-chic anniversary party or a polished corporate event. There are special areas for the bride and her attendants and the groom and his groomsmen. The wedding venue hosts many outdoor wedding ceremonies for Dallas, Weatherford and Fort Worth brides. The Great Room, with its high vaulted ceiling and exposed hammer beams, lends itself to a beautiful cathedral feel - perfect for weddings, corporate meetings, or family events. The spacious dining area is connected to the Great Room and boasts a top-of-the-line sound system. Combined with the main dining area the Great Room is approximately 3000 square feet. The high ceiling with the exposed hammer beams was designed by David A. Gechter and actually built by David and his brother Bud. The restrooms connected to this area have been decorated with family pictures dating back to the 1800s. Our Old Western Town adds to the “rustic atmosphere” while offering the perfect space for a Social Hour/Cocktail Hour for your guests after the ceremony. Guests can enjoy hors-d'oeuvres and get a glimpse into the past while enjoying the special event they are attending. The cantina deck offers a place to relax and witness one of Texas' spectacular sunsets, fix some s'mores, and possibly see deer grazing in the pecan orchard. 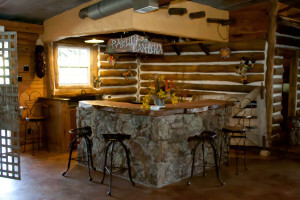 The cantina's stone bar serves as a wet bar and is topped by wood that was cut right here on the farm. 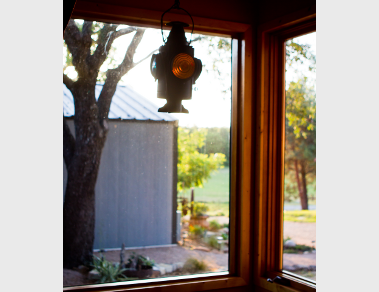 Guests that visit the bar can step out onto the spacious deck overlooking a beautiful pecan grove. Outside of the cantina is a deck facing a large pecan grove. This is the perfect place to sit and enjoy one of Texas' beautiful sunsets. The deck also overlooks the landscaped firepit. The Hollow Hill gardens will provide the perfect ambiance for any celebration or wedding ceremony. Tucked around the main facility, guests will find pathways and walkways lined with interesting sculptures, a cozy fire pit, and stunning gardens. If guests are feeling adventurous, they can wander the grounds to discover the antique farm implements and other outdoor treasures. Professional landscaper Mary Dyess has used native plants – perennials and annuals – to bring beauty and color to the area around Hollow Hill and to add to the natural glory of the Texas countryside. The sculptures and fire pit in the gardens are designed by North Carolina artist Julia C. Burr. The Train Depot/Catering Staging Area houses the kitchen and is designed to accommodate the best chefs and diverse food preparations for party catering. The area is equipped with a commercial refrigerator, stove/oven, microwave, warming oven, commercial stainless steel sink, and ice maker as well as plenty of counter space. The catering building connects to the main dining room by an enclosed hallway and is about 480 square feet. The exterior of the building was designed to replicate an old train depot, complete with the bay window for the station agent’s desk where he could sit and see if a train was coming. The building is painted Southern Pacific yellow and trimmed with Atchison-Topeka-Santa Fe red. 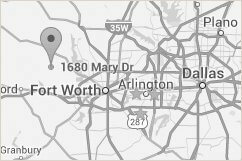 The Barn at Hollow Hill is one of the best amongst the Dallas barn wedding venues. It has approximately 3570 square feet and is perfect for weddings, receptions, bands, and dancing. 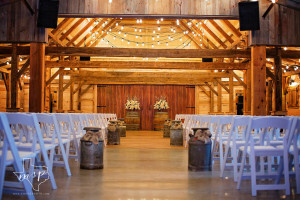 Large barn doors on the south side can be opened to create a grand entrance for the bride or to create a courtyard with Old Town and the Great Room. The restrooms have their own unique ambiance with stalls in a stable design and sinks made from water tanks and porcelain wash basins. The southern end of the barn loft is an extended bird’s beak design with two doors that can be opened wide and used as an exquisitely beautiful backdrop for photo shoots. In the “old days,” these doors were opened up in order for hay to be put into the loft. The hay was hoisted into the barn by a trolley that ran on a rail attached to the top ridge of the barn. The track system that has been installed into the Hollow Hill barn came out of an old barn in Kansas. David and his brother Bud grew up in Kansas with this particular style of barn, which is called a “bent-back barn.” The walls inside are covered with old barn boards from the barn of a Kansas neighbor. 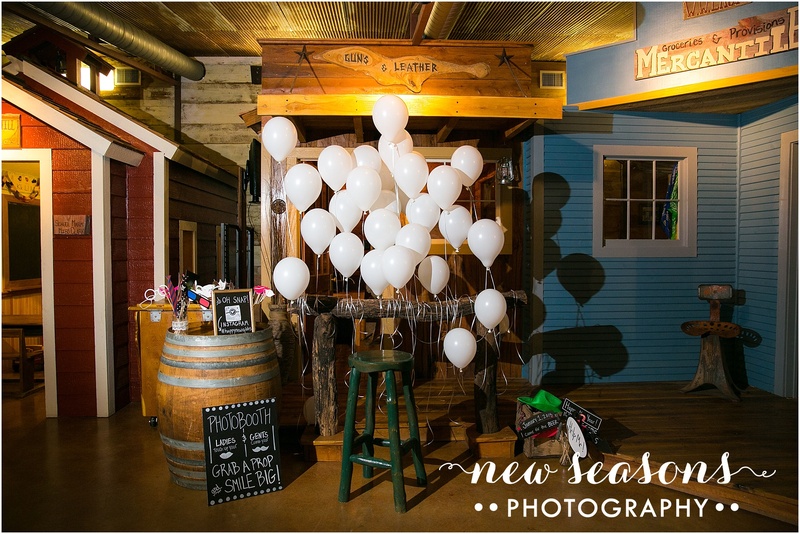 In the spring of 2014 the Barn was expanded to accommodate parties as large as 250, making it one of the largest Dallas barn wedding venues. A special feature of this expansion is the reconstructed old Dutch timber-framed barn from just south of Albany, New York. Hollow Hill Farm sent a sample of the timbers to Cornell University to be dated, discovering that they were originally cut in 1810! 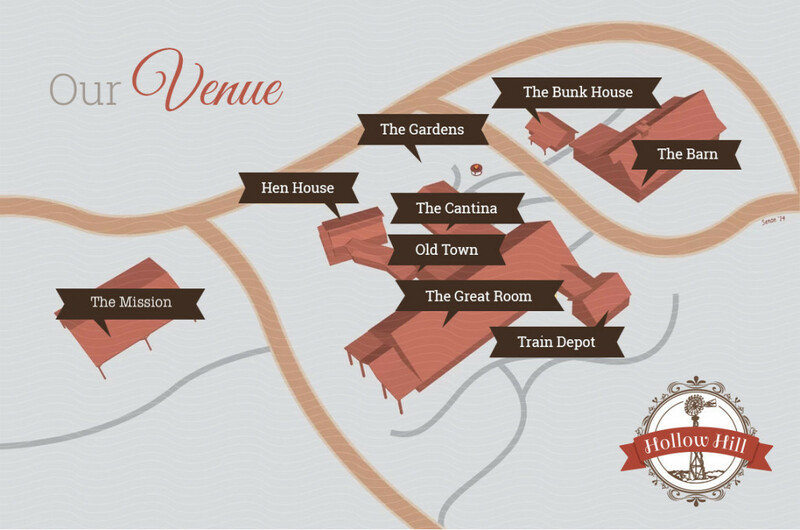 The Hen House is designed especially for the convenience of the bride and her guests. This spacious and relaxing area houses about 480 square feet and includes a full bathroom complete with a stone shower. Obviously mirrors are essential in a bridal party prep room, and a bride will find lots of mirrors including one full-size wall mirror. The bride and her attendants will have plenty of privacy to relax and primp, or just sit on the front porch and enjoy the beauty of the countryside. The Hen House is connected to Old Town by an enclosed hallway, providing the bride with a protected entrance to the main building. Keeping with the country theme at Hollow Hill, the Bride’s House was designed after the old chicken houses – thus, The Hen House! 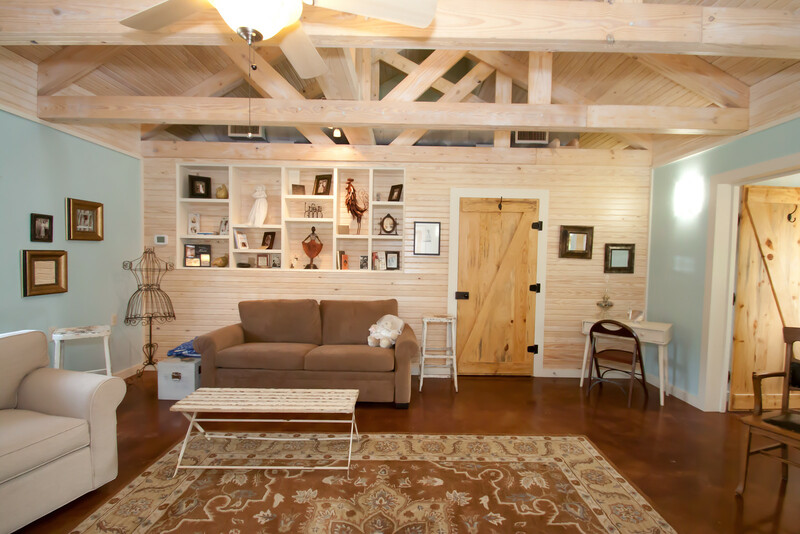 The Bunkhouse, situated next to the barn and secluded for the groom’s convenience, opens to spacious stomping grounds as well as to the nearby fire pit - perfect for just sitting around with groomsmen and guests. 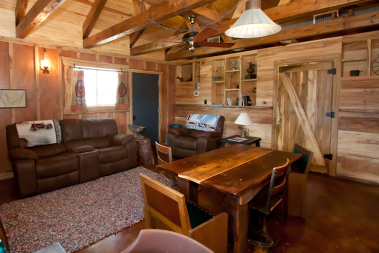 The Bunkhouse is about 440 square feet and includes a full bathroom, complete with a stone shower. Modeled after the old western bunkhouses, the interior walls are wood planks cut from dead trees out of the Hollow Hill timber area. The front porch allows the groom and his groomsmen a place to kick back and relax before the big event. Dance under the starry night in this spacious open mission, covered for protection from the elements, but designed to accommodate those loving the outdoor atmosphere. 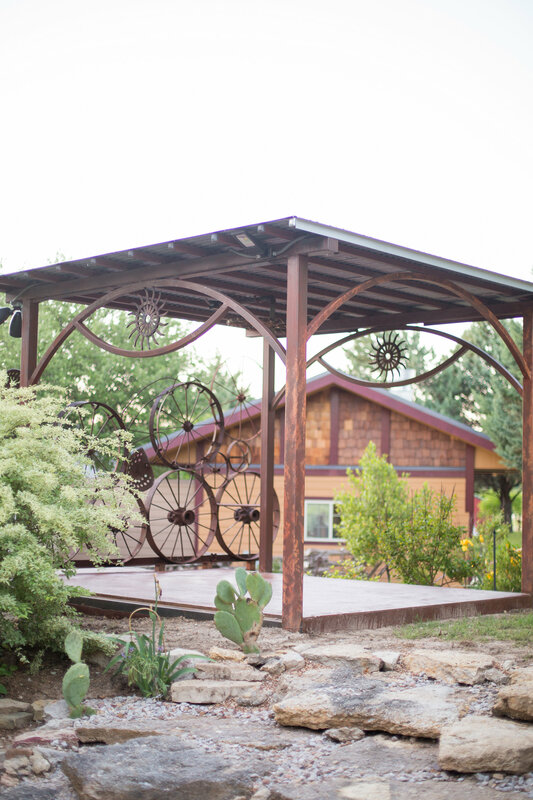 Approximately 3200 square feet, the Mission is the perfect area for an outdoor wedding ceremony, or an outdoor band. 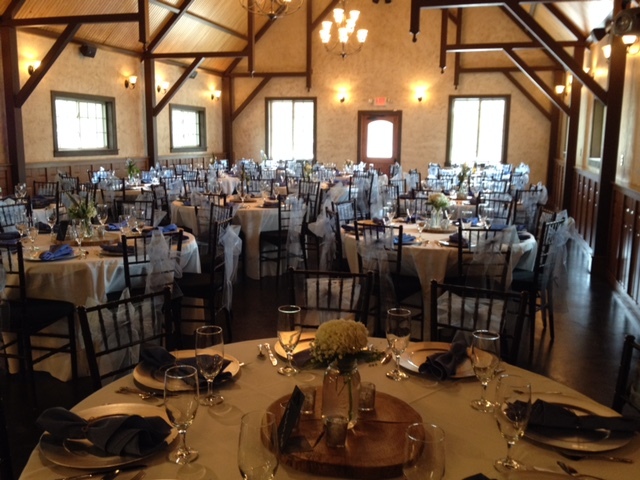 The unique location of Hollow Hill truly has something for everyone and is a great venue to host a wedding, corporate event, or any special occasion. From weddings to reunions, every event hosted at Hollow Hill is exceptionally beautiful and relaxing for all involved. the exceptional services and amenities. or for any other upcoming event!